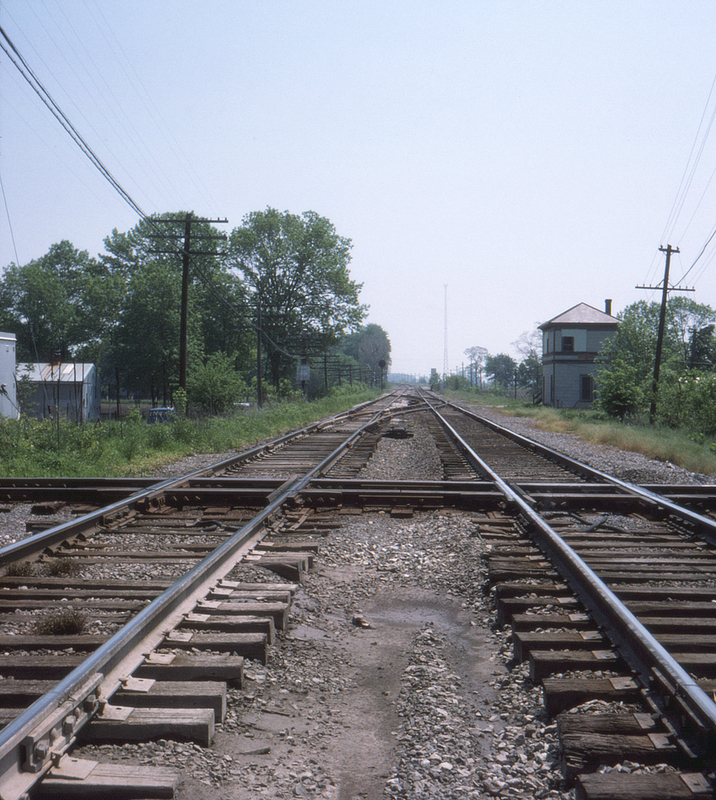 At Dunreith, Indiana the Pennsylvania Railroad's Panhandle Line crossed a branch of the Nickel Plate Road (extending from Muncie to Rushville) at grade, and the Pennsy maintained a tower for that purpose. The tower also managed a pair of crossovers. Today (2018) both lines are long gone. Dunreith achieved notoriety on New Year's Day 1968 when a train loaded with poisonous and flammable chemicals derailed here and collided with a second freight, causing a million dollar fire and explosion which among other things polluted the local water suplly with cyanide.